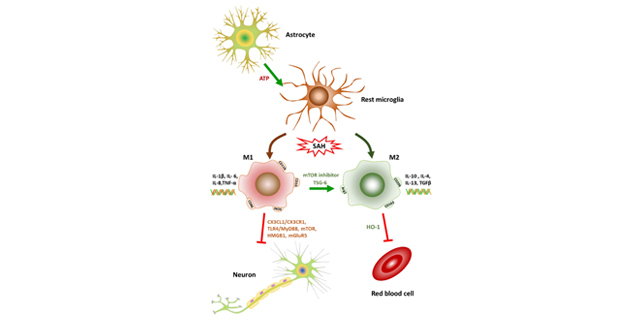 Neuroimmunology and Neuroinflammation is an open access journal, with focuses on neuroimmunology and neuroinflammation research, and coverage extending to other basic and clinical studies related to neuroscience. Pulsed intravenous corticosteroids in chronic inflammatory demyelinating polyneuropathy: why not? Fabry disease (FD) is a rare, progressive, multisystem and highly debilitating disease. 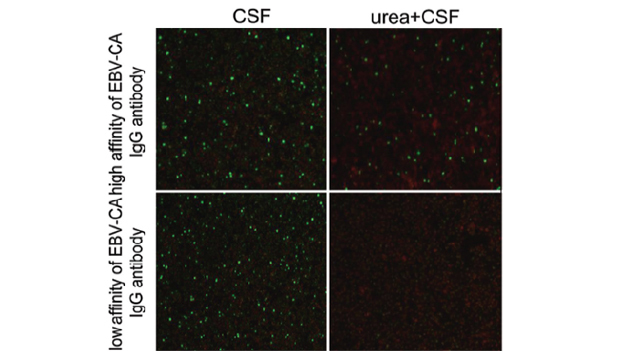 FD is an X-linked lysosome storage disorder that results in α-galactosidase A deficiency. The subsequent accumulation of glycosphingolipids is more evident in vascular endothelium and smooth-muscle cells. The resulting effect of the deposition is generalized inflammation and vasculopathy, which can also affect the central and peripheral nervous system. FD progresses with kidney dysfunction, angiokeratoma of the skin, cardiomyopathy, cerebrovascular events and neurological disorders. In the present review, the neurological manifestations of FD are summarized with emphasis on cerebral vasculopathy, cochlear nerve dysfunction, psychiatric and cognitive symptoms, autonomic dysfunction and peripheral neuropathy. Enzyme replacement therapy is also discussed in the light of its more prominent effects when administered early in life, which make it essential to diagnose FD as soon as possible. 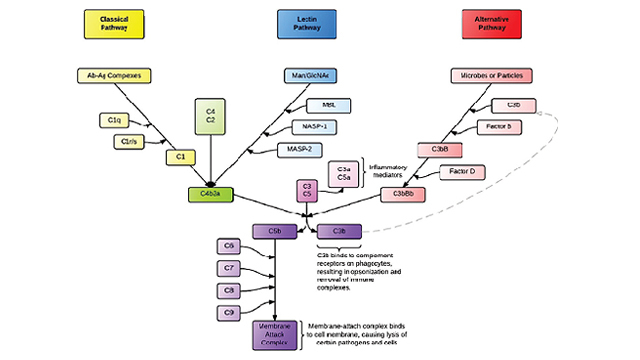 Cryptococcal meningitis (CM) is a central nervous system infectious disease caused by Cryptococcus. It is the most common fungal infection in the central nervous system, accounting for about 48% of fungal infection. The disease occurs mainly in acquired immunodeficiency syndrome (AIDS) patients and concentrates in the immunocompromised people without AIDS. There are nearly one million new cases of CM each year, and about 70% of them died. In China, CM occurs mainly in people without AIDS and there is an increasing trend in recent years. Early diagnosis and treatment is the key to reducing morbidity and mortality associated with CM. The diagnosis mainly depends on laboratory examination such as morphological examination, fungal culture and antigen detection. History, clinical manifestation and imaging examination are the important parts of auxiliary examination. The initial combined antifungal treatment is emphasized, and the principle of fractional treatment including induction, consolidation and maintenance therapy should be followed. The high intracranial pressure must be reduced actively at the same time. In addition, it is proved that the novel immunotherapy combined with antifungal agents can improve the curative effect and limit the chance of antimicrobial resistance. Large-scale clinical trials are needed for further study. 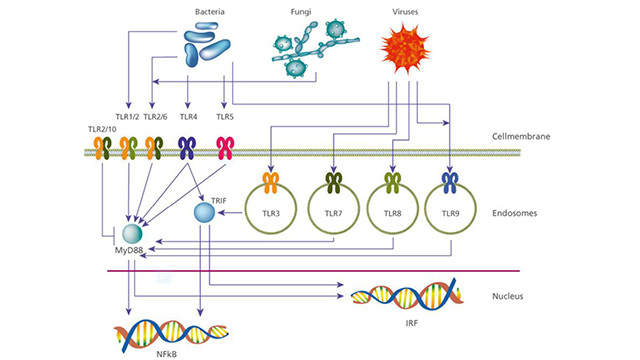 Toll-like receptors (TLRs) are part of the innate immune system and can initiate an immune response upon exposure to harmful microorganisms. 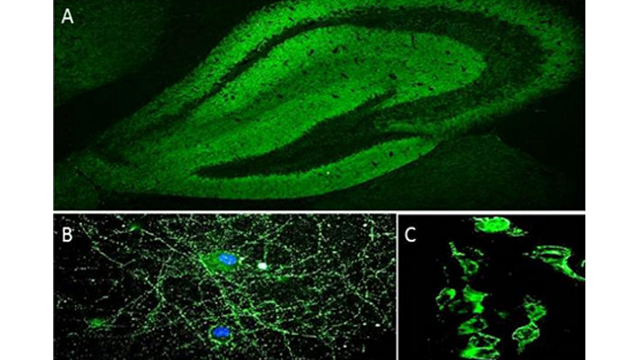 Neuronal TLRs are considered to be part of an established framework of interactions between the immune system and the nervous system, the major sensing systems in mammals. 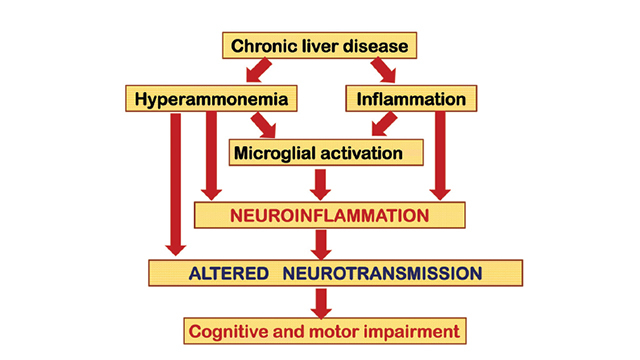 TLRs in the nervous system and neuronal TLRs are suspected to be important during inflammation and neurodegenerative diseases. 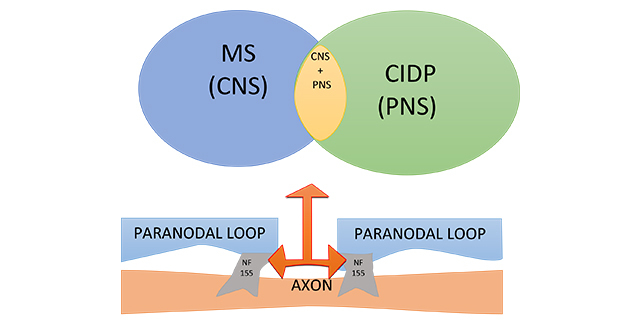 The aim of this review is to offer an overview of the current knowledge about TLRs in neurodegenerative pathologies, with a focus on Parkinson’s disease. More research focusing on the role of TLRs in health and disease of the nervous system is needed and remains to be explored. Cancer is one of the leading causes of death worldwide. Gliomas are among the most devastating tumor types, and current clinical therapies are unsatisfactory. Recent reports revealed the importance of glioma‑propagating cells in the malignancy of gliomas. These cells, also referred to as glioma stem cells (GSCs), share similarities with neural stem cells (NSCs). 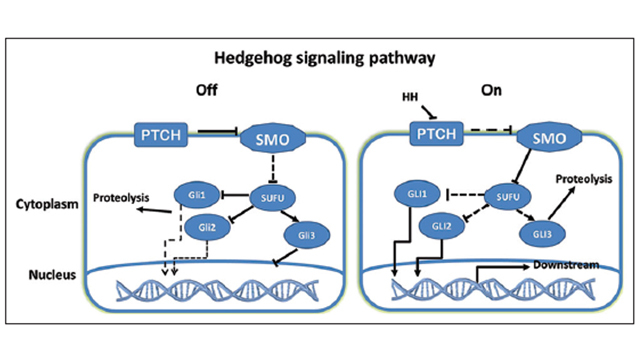 The Hedgehog (Hh) signaling pathway controls tissue polarity, patterning maintenance, and maintenance of NSCs during embryonic development. 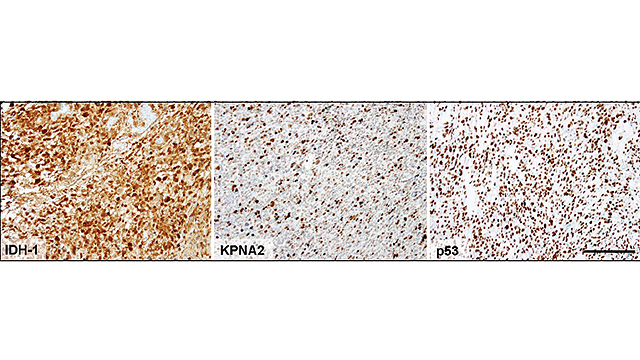 Aberrant activation of the Hh pathway resulting from mutation and deregulation has recently been recognized to cause tumorigenesis in a wide variety of tissues, including gliomas and GSCs. In this review, we explore the role of the Hh signaling pathway in GSCs and its potential as a therapeutic strategy. Aim: The aim was to investigate the infectious conditions of Epstein-Barr virus (EBV) in patients with multiple sclerosis (MS). Methods: Cerebrospinal fluid (CSF) of 20 patients with MS and 20 with other neurological diseases (OND) were tested with indirect immunofluorescence for anti-EBV capsid antigen (EBV-CA) immunoglobulin G (IgG), IgG affinity for anti-EBV-CA, anti-EBV-CA immunoglobulin M (IgM), anti-EBV early antigen (EBV-EA) IgG and anti-EBV nuclear antigen (EBNA) IgG. According to the pattern of antibodies in CSF, infection rates of acute, chronic, primary, recurrent, and past infections were analyzed in the two groups of patients. Results: There were no significant differences in anti-EBV-CA, anti-EBC-EA, and anti-EBNA antigen IgG in CSF between MS and OND patients (P > 0.05). The positive rate of low affinity for anti-EBV-CA IgG in MS patients was significantly higher than that for OND patients (75% vs. 40%, P < 0.05). Furthermore, significant differences in the positive rate of anti-EBV-CA IgM were found between MS and OND patients (70% vs. 25%, P < 0.05). Of the MS patients, 75% were in an EBV acute infection state compared with 40% of OND patients (P < 0.05). Conclusion: Acute infection of EBV closely correlates with the occurrence of MS.
Acquired isolated palatal palsy is a rare disease. It is commonly seen in children. 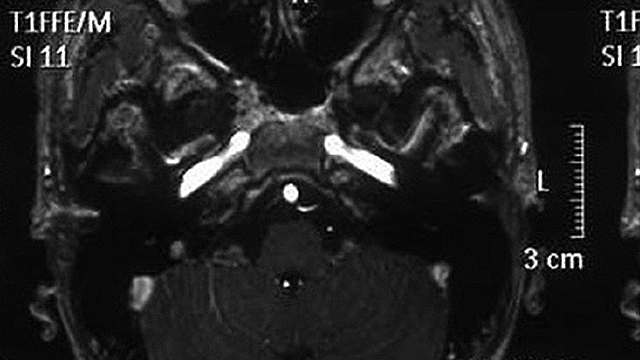 It usually presents with acute onset nasal regurgitation of fluids, rhinolalia, and palatal asymmetry. Many causes of this disease, such as infections, trauma, tumor, and brainstem lesions, etc., have been reported. However, the most plausible explanation is immunological/ischemic damage to the affected nerve. After ruling out major potential causes of this disease, the damage is often considered to be idiopathic in nature. This disease has a benign self-limiting course with excellent recovery. In accordance with a hypothesized immunological basis for this condition, treatment with steroids results in significant improvement in its clinical features. 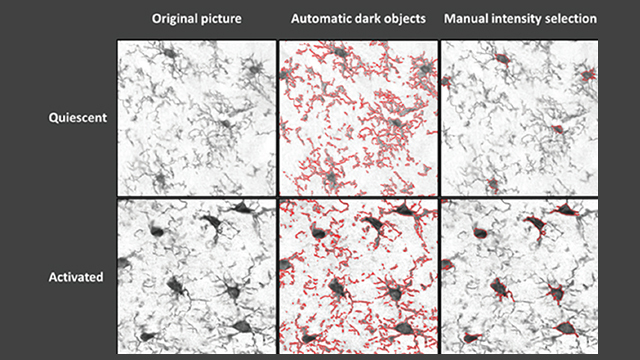 Aim: The aim was to validate a newly developed methodology of semi-automatic image analysis to analyze microglial morphology as marker for microglial activation in ionized calcium-binding adaptor protein-1 (IBA-1) stained brain sections. Methods: The novel method was compared to currently used analysis methods, visual characterization of activation stage and optical density measurement, in brain sections of young and aged rats that had undergone surgery or remained naïve. 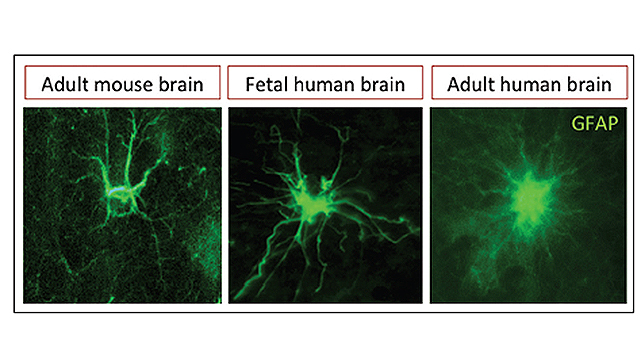 Results: The cell body to cell size ratio of microglia was strongly correlated to the visual characterization activation stage. In addition, we observed specific surgery and age-related changes in cell body size, size of the dendritic processes and cell body to cell size ratio. Conclusion: The novel analysis method provides a sensitive marker for microglial activation in the rat brain, which is quick and easy to perform and provides additional information about microglial morphology. The M1/M2 immune polarization concept in microglia: a fair transfer? Lead (Pb2+), a ubiquitous environmental toxicant, may widely affect the function of many organs or systems of human beings, especially the brain. 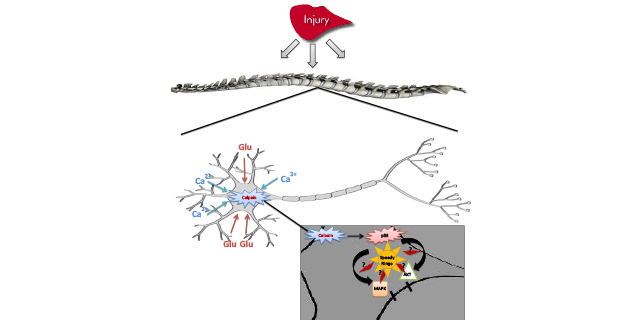 Although lead is believed to transport into the brain through the blood-brain barrier (BBB) and cause direct neuronal injury, growing data have shown that lead exposure could induce brain dysfunction by triggering microglial and astroglial activation, pro-inflammatory cytokine production and inflammatory response, generation of reactive oxygen species and oxidative stress, and finally result in BBB dysfunction and neuronal damage. 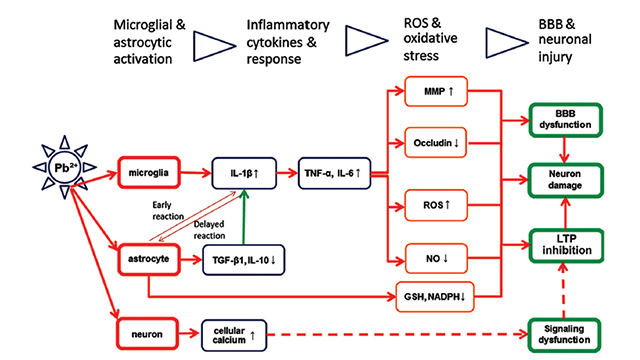 This review summarizes recent studies regarding microglial and astroglial reaction, neuroinflammation, and neuronal death in the brain following lead insult, suggesting that reactive glial cells may represent a potential target for manipulation of lead-induced neuroinflammatory injury of the brain. Neuroimmunology and Neuroinflammation is published by OAE Publishing Inc.